Oooh this is gorgeous Denise!! Love the layout with the ribbon and the lavender!! Cute snowman. You are rocking these PB stamps. Oh, this is sooooo adorable girlie! My mom and would this, you've used her favorite color! Definitely an adorable snowman!!! Love the hat too! Definetly an adorable snowman!I love that paper and the ribbon is such a great touch! LOVE all the stickles! 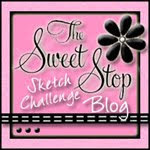 Thank-you so much for your comments on my blog! You're calling my name with these fabulous colors! Love that adorable snowman, and the ornaments hanging from his arms! OOOh, I love how you use these soft colors! Great card; LOVE the colors! PS - it's your "other man's" birthday today - if you're on twitter, send him a "tweet"!! You do purple so well on cards Denise! So sweet and dreamy feeling! So simple and cute! Love your colours and the ribbon tabs! I love this little lavender guy, Denise. Such a pretty card! Awwww! How adorable! I love the lavender paper! I have it in my own stash! 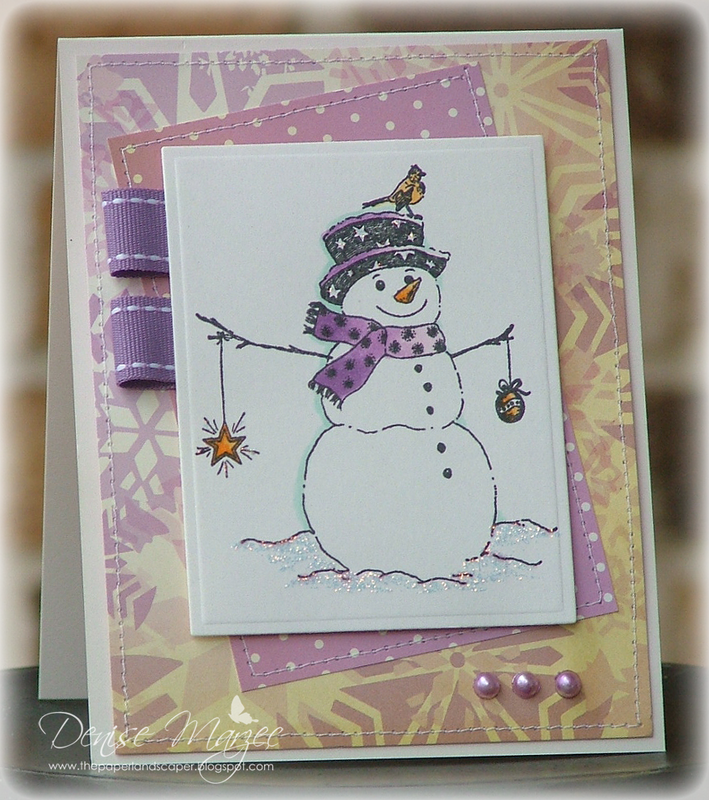 I just love shades of lavender used with snow scenes! This is such a sweet card using this layout and colors! Oh so pretty Denise...I am loving Lilac for a new Christmas color... Simply adorable!! Awwwww LOVE this! The lavender is perfect! Love the layout and all the glistening snow!! Very pretty!! I am a big fan of purples.. and a big fan of snowmen. Put them together and you get one great card.. So cute! I like all the sparkle! I love your cute snowman in those colors, Denise!! The papers are very pretty!! Denise the soft purple colors in this card are so pretty.